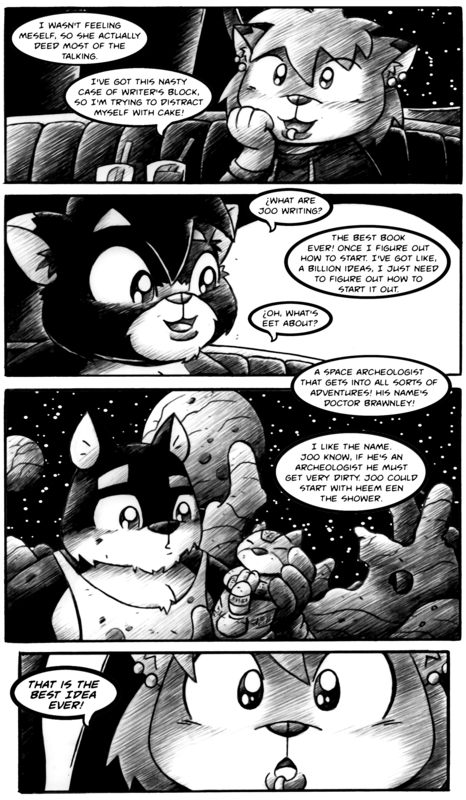 Dr. Brawnley’s sheer level of awesome can not be contained by a standard length comic page. It’s interesting to see that Tussel’s writer’s block predates her first chapter. It seems she had trouble both starting and continuing.